Kyle Greig scored two minutes into the match for STLFC, but SAFC countered with goals in the 21st and 60th minute to take three points at home in front of 7,946 fans at Toyota Field in San Antonio. The loss drops STLFC to 0-1-1 on the young season. The club returns home this weekend for its first match of the season at Toyota Stadium. Saint Louis FC takes on the Colorado Springs Switchbacks at 4 pm this Saturday at Toyota Stadium at World Wide Technology Soccer Park in Fenton. 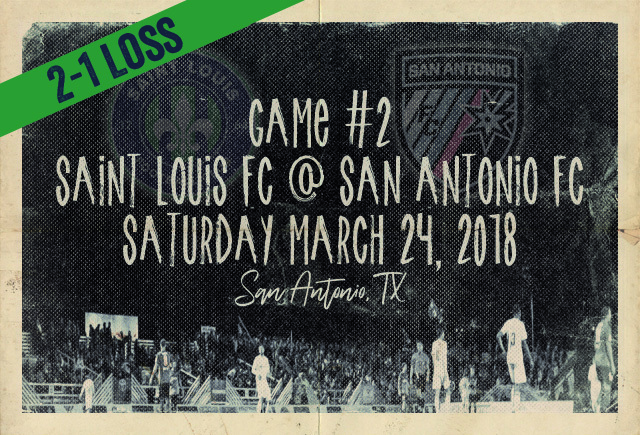 Saint Louis FC fell to San Antonio FC by a score of 2-1 on Saturday, March 24, 2018 in a United Soccer League match. Kyle Greig put the visiting Chupacabras on the board while many San Antonio fans were still in line for the $1 beers. Greig headed in a cross from Austin Martz just two minutes into the match. 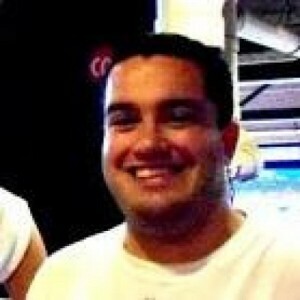 Mikey Lopez would get SAFC on the board in the 21st minute when he headed a ball passed Jake Fenalson. Lopez would again factor into the scoring in the 60th minute. His cross found the head of Kris Tyrpak, who put the home squad ahead for good. San Antonio FC ranked fourth overall in the USL last season in terms of per-match attendance with an average of 7,152 at Toyota Stadium each time out. Saturday’s match, which was the first of the 2018 season at Toyota Field, had an announced attendance of 7,946. STLFC manager Anthony Pulis gave his assessment of his team’s performance after the match in a story posted to the club website. Watch highlights from Saturday’s match below. STLFC hosts the Colorado Springs Switchbacks this Saturday in the club’s 2018 home opener. Kickoff is set for 4 pm at Toyota Stadium at World Wide Technology Soccer Park in Fenton. A limited number of tickets are still available. Tickets can be purchased in advance online at SaintLouisFC.com or by calling 636-680-0997. Check back to RealLifeSTL later this week for a preview of Saturday’s match.